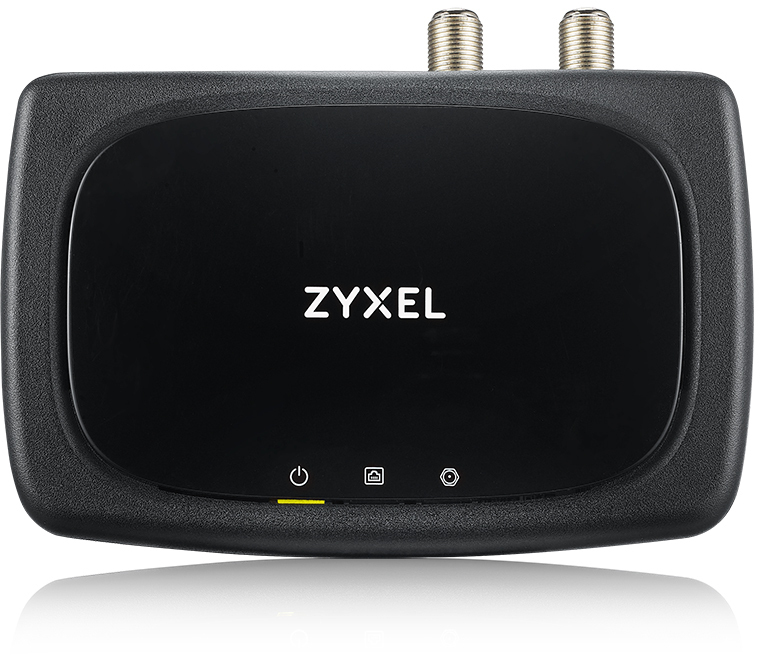 The Zyxel HLA4205 MoCA 2.0 Ethernet Adapter is a coax home network adapter that turns the home coax cable into a 1.4 Gbps network backbone for every family member to experience high-speed network connectivity. The Zyxel HLA4205, MoCA 2.0 Ethernet Adapter, helps users to build up a complete network environment with the existing coaxial infrastructure. 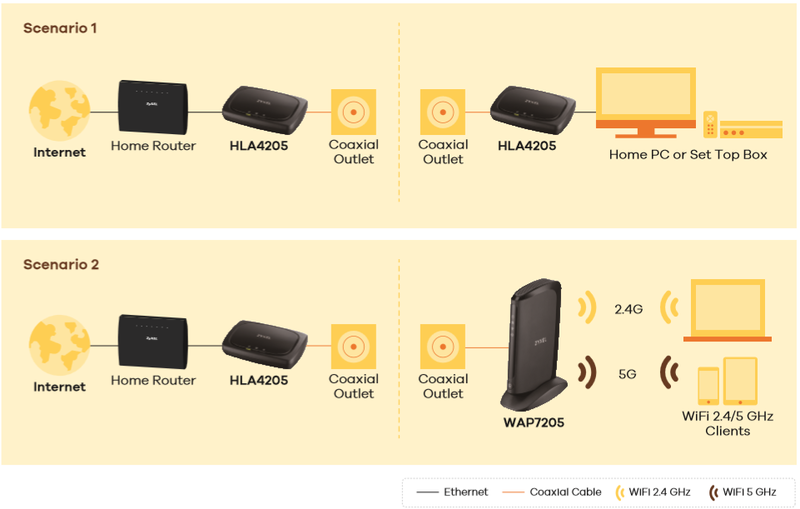 The HLA4205 supplements the existing WiFi network with no extra cables required to extend the Internet service from one room to another. 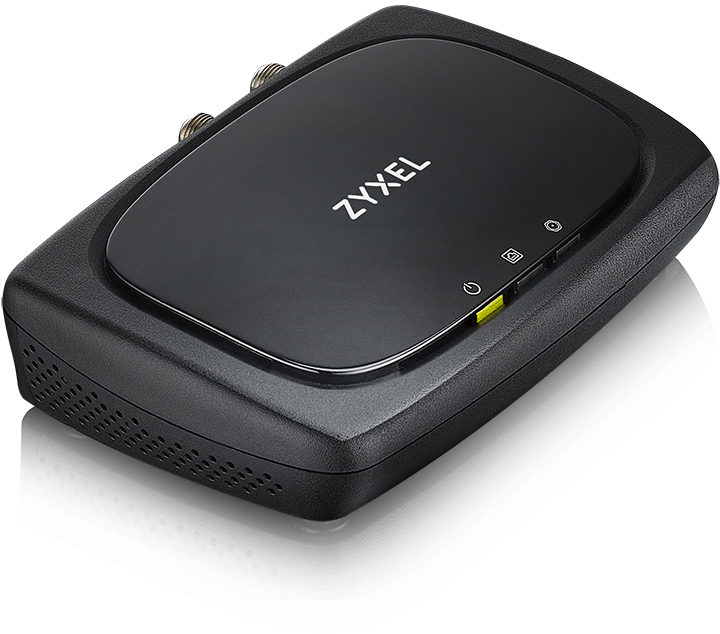 The Zyxel HLA4205 adapter is designed for reliable, high-performance media network connectivity. With the latest MoCA 2.0 Bonded Technology, it is easy to build a wired network with speeds of over 1 Gbps to fulfill the demands for multi-Ultra HD streaming and online gaming at the same time. 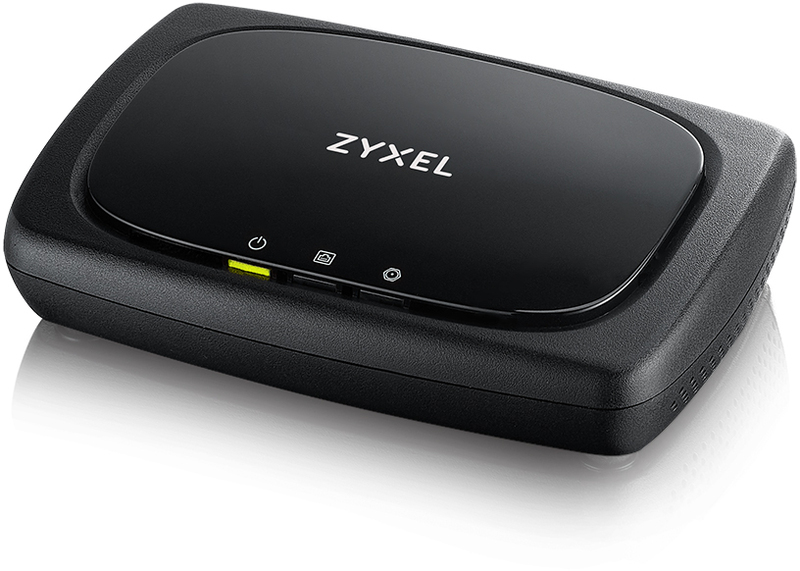 The Zyxel HLA4205 provides an ultra-fast connection with speeds up to 1.4 Gbps* taking advantage of Bonded MoCA 2.0, the latest MoCA technology. It is backward interoperable with MoCA 1.1 and MoCA 1.0. * The maximum data transfer rates of up to 1400 Mbps over coaxial in simultaneous transmission is derived from the MoCA 2.0 bonded specifications. 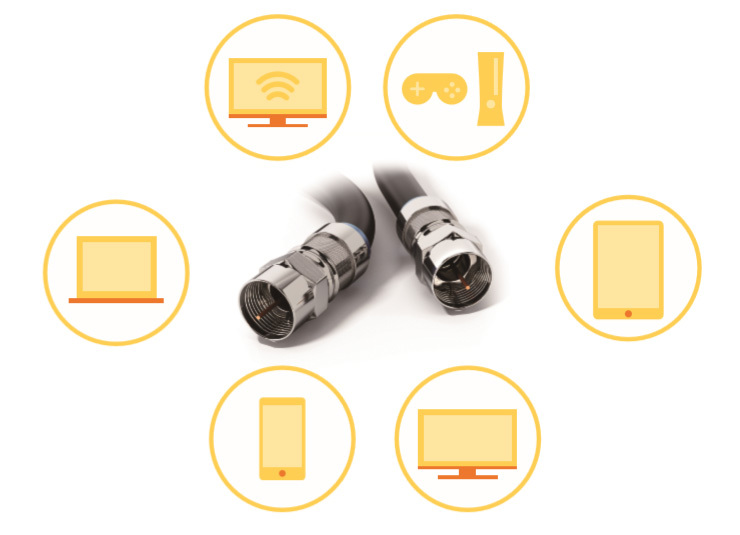 Actual data transfer rates may vary from network conditions including cable length, network traffics, diplexer attenuation and interference from other coax devices or other adverse factors. Download the Zyxel HLA4205 Datasheet (PDF).